Founded by two Livermore high school seniors, a new youth theater group called Center Stage East Bay will be sponsored by the Livermore Valley Performing Arts Center. A mutual passion for theater led Micaelan Schreckengost and Anya Worley to found the youth-led company for the purpose of expanding opportunities for young artists through inclusive, community-based performing arts. Future performances by Center Stage will provide young people ages 14-20 with the chance to create, perform, and design productions, as well as manage the associated creative and business tasks. Through the process of producing all aspects of theatrical events, students will gain confidence and develop greater maturity in dealing with a broader world. While many theater programs focus on rigorous training and a machine-like model of business, Center Stage will instead establish a community that builds up the talents of individual performers, treating participants as human beings and not replaceable parts. With access to facilities and staff at the Bothwell Arts Center and the Bankhead Theater, Center Stage will be able to establish a home for young performers, authors, and technicians while helping them find their place in the local arts community. Center Stage East Bay is planning a Festival of Short Plays and will be sending out a call for student authors, actors, and directors within the next few months. To help successfully produce this ambitious festival, Center Stage has already begun fundraising for the event. A fundraiser will be held at Chili’s Bar and Grill on First Street in Livermore this coming Wednesday, Jan. 30 with a percent of the proceeds from sales going to Center Stage if an event flyer is shown. Contact Anya Worley via email at centerstageeastbay@gmail.com for more information and how to support the group and help nurture a local theater community that will inspire and encourage generations of young people for years to come. Here at the Livermore Valley Performing Arts Center, we take pride in offering a diverse range of programs providing access to the arts for the Tri-Valley community and beyond. The Bankhead Theater and the Bothwell Arts Center present numerous events each year including performances, classes, exhibits, as well as extensive educational outreach in the arts. In addition to Center Stage East Bay, the organization sponsors the East Bay Jazz All Stars Band, which provides advanced musical training and real-world performance opportunities for high school students. There’s no question the Livermore Valley Performing Arts Center is the heart of an already vibrant cultural arts community. We encourage you to join us in our continuous effort to engage our diverse community. 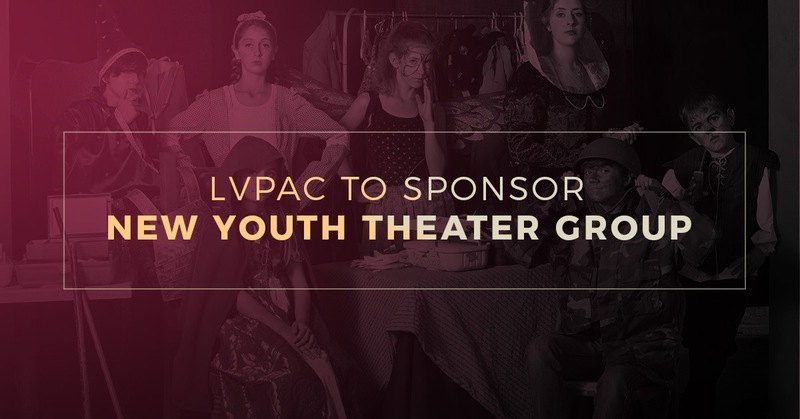 Get in touch with LVPAC today to learn more.